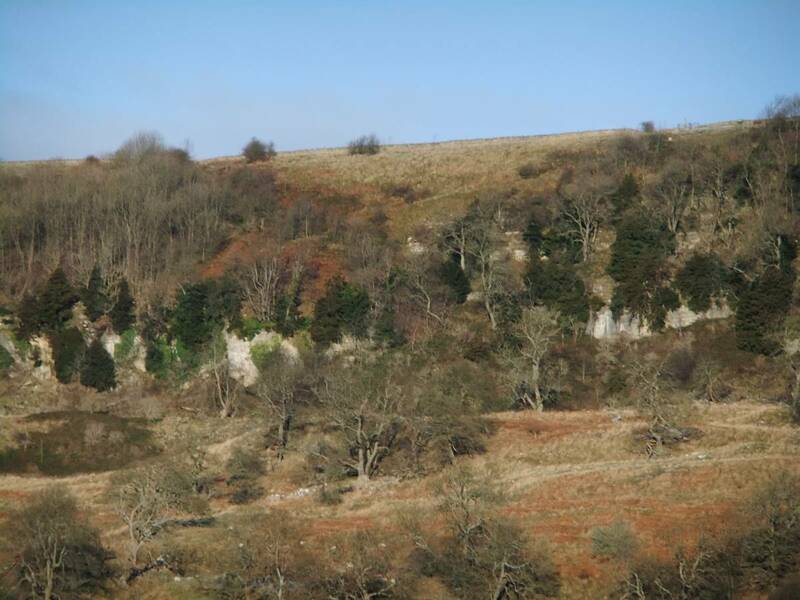 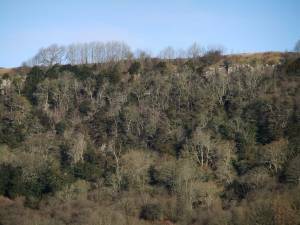 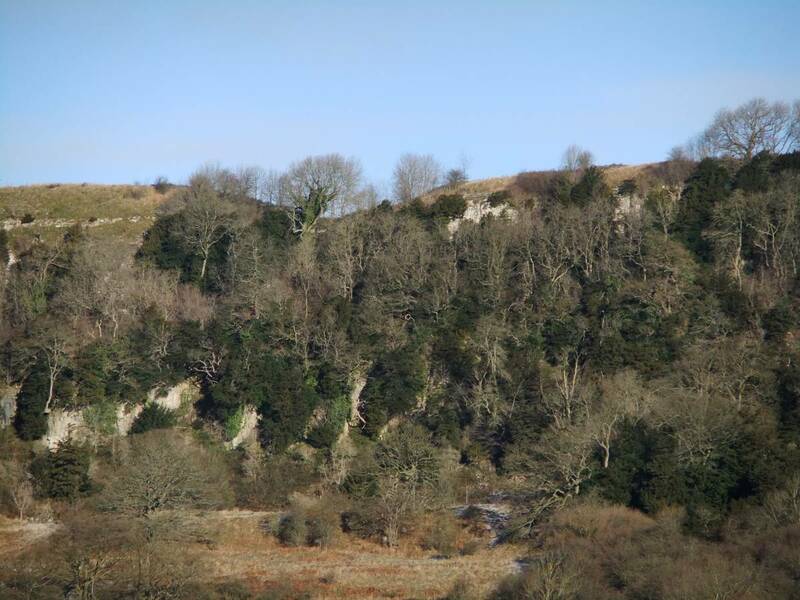 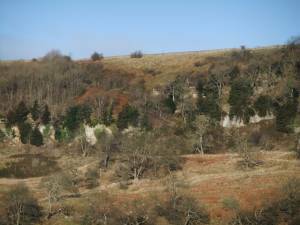 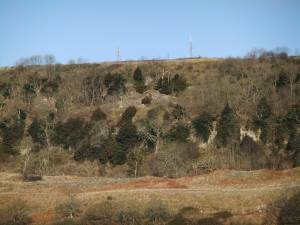 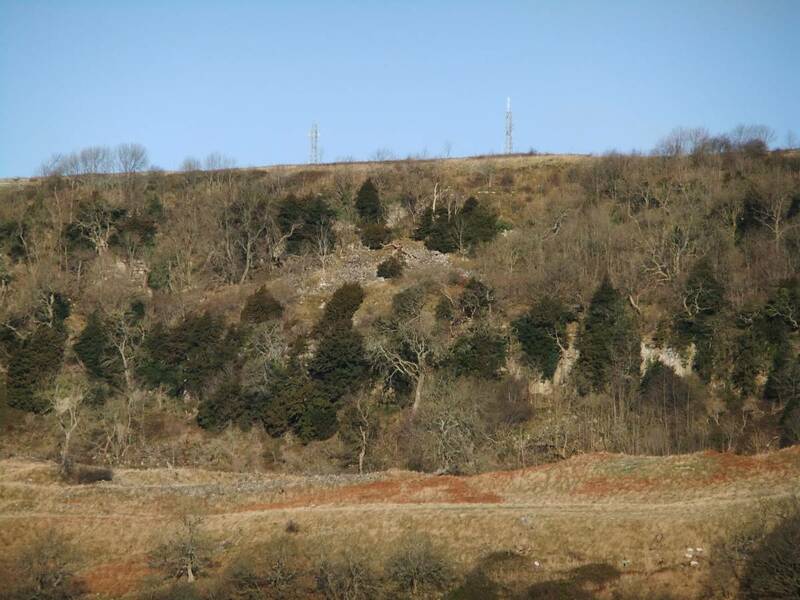 Geology Sheer cliffs or Scars formed by Richmond cherts above the Main Limestone. 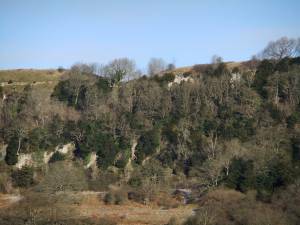 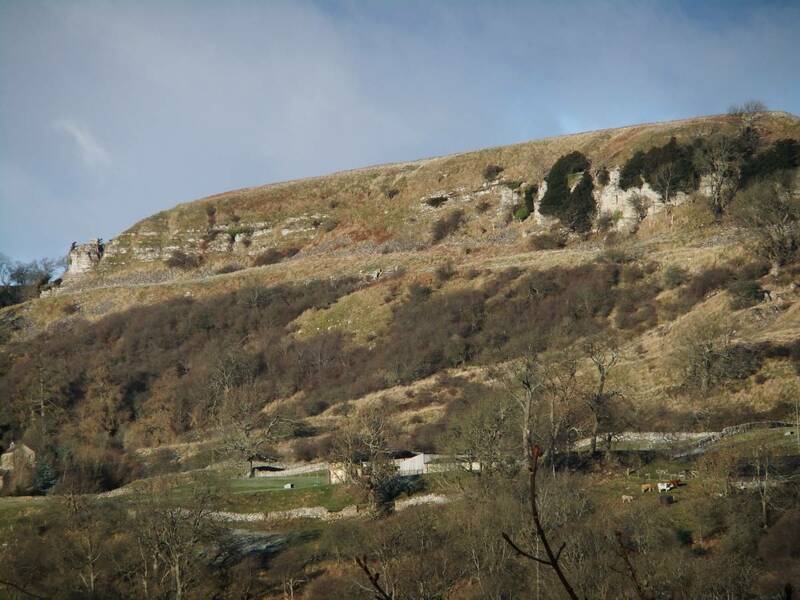 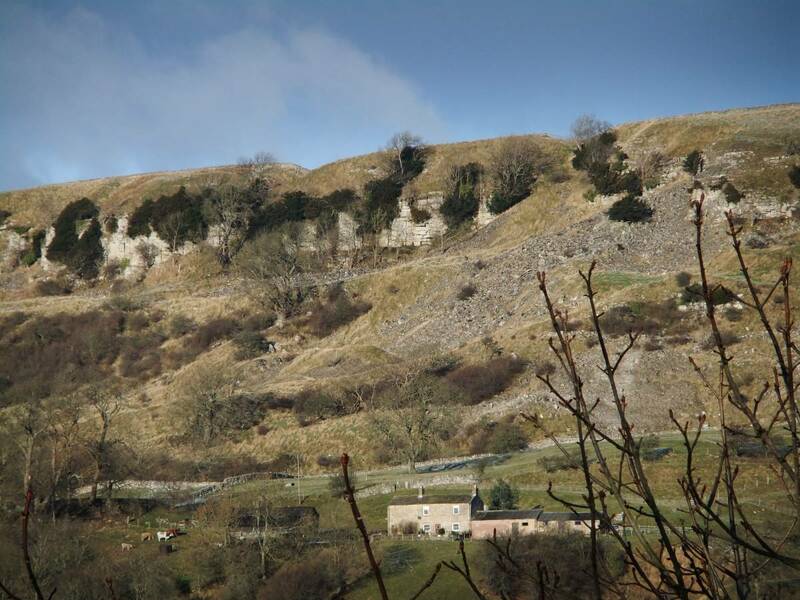 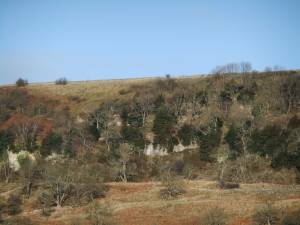 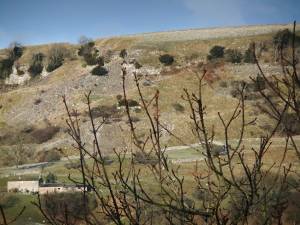 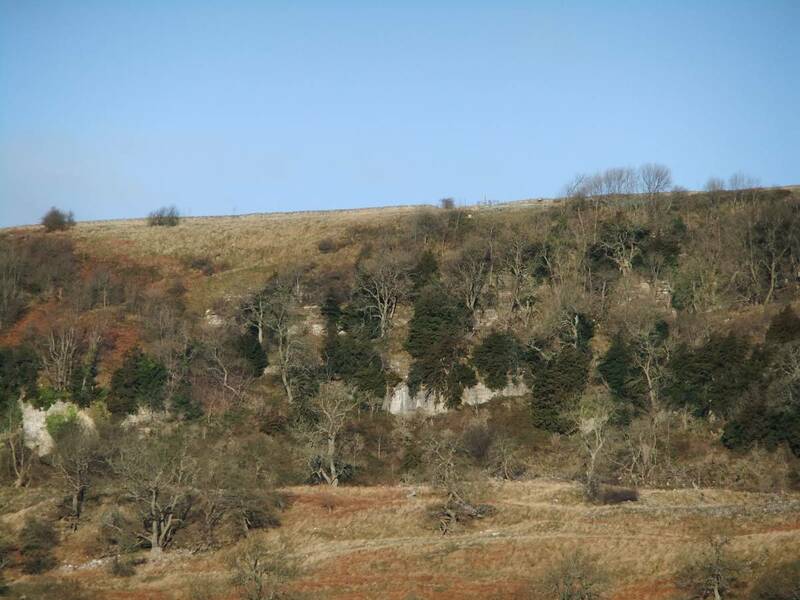 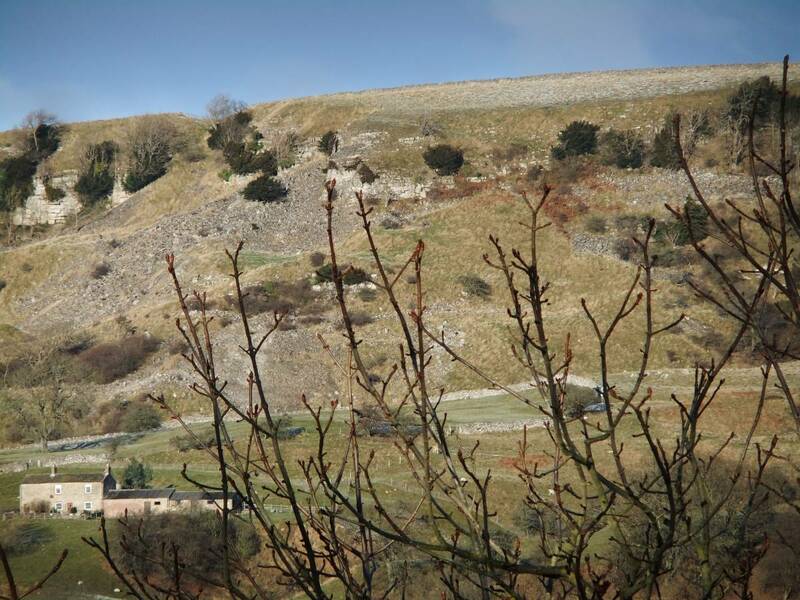 Record Name Limestone ashwood with many yews on Whitcliffe Scar east of Deepdale, a panorama of views. 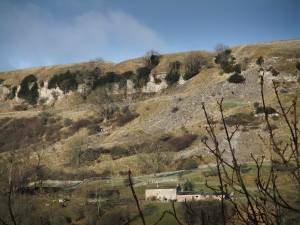 Record Description This is a continuous photographic record of the whole length of Whitcliffe Scar for a distance of 1.5km eastward from Deepdale. 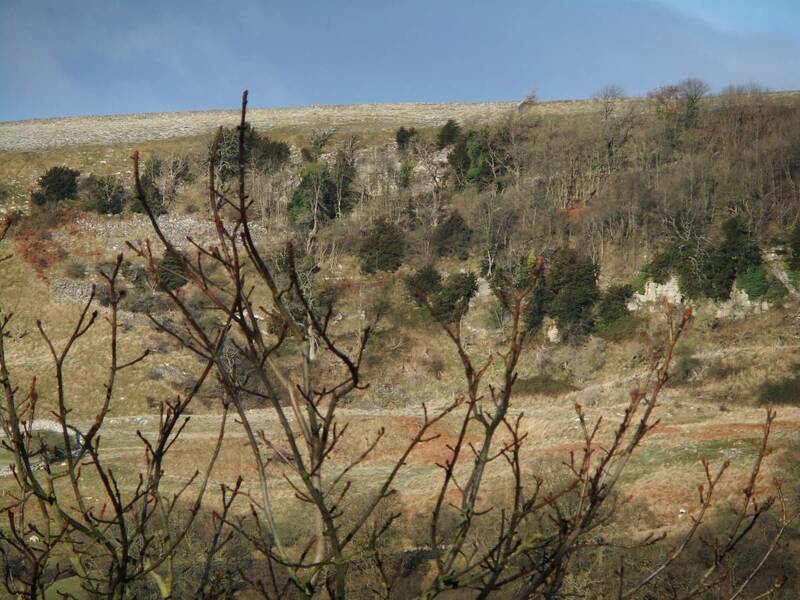 The photographs were taken *10 under very good sunlight from the A6108 road on the 5th December 2012. The purpose of this series of photographs is to allow an appreciation of the wealth of mature cliff yews within species-rich limestone ashwood across the whole length of Whitcliffe Scars. 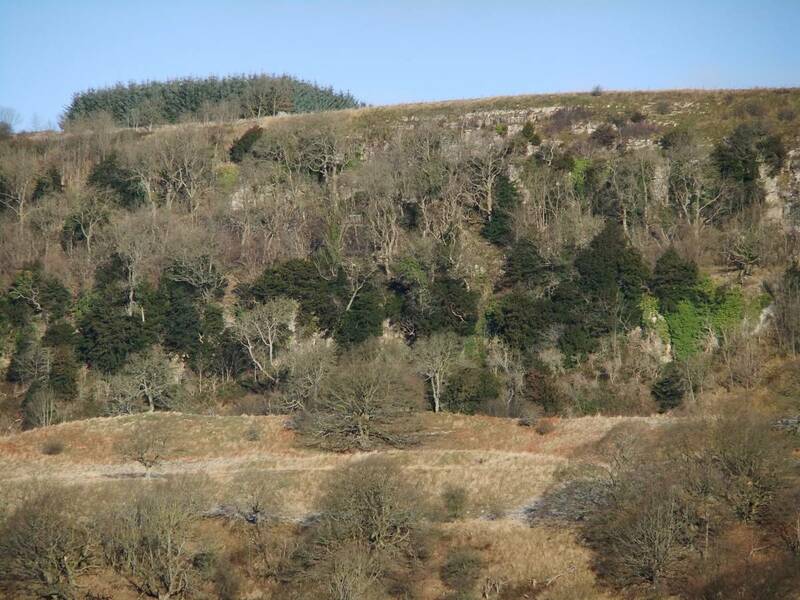 These photographs should allow the health of this woodland to be monitored from time to time.